Reports Screen – Choose List Format. 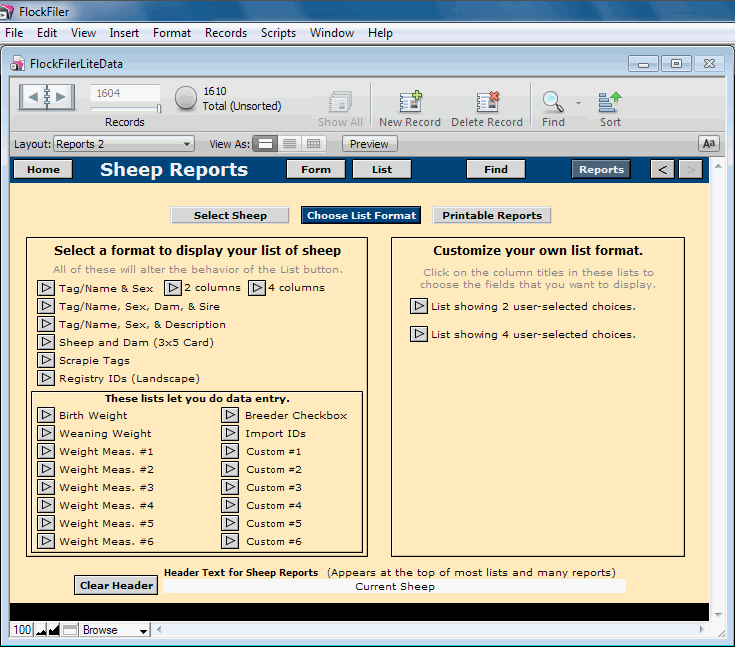 Select what columns of information to display when you view a list of your sheep. Your choice here will reprogram the List button at the top of the screen to use your selected list format. If one of the preprogrammed lists doesn't suit your need, you can create your own with two or four columns containing fields you select.